SLIP Emailing belongs to an international group founded in 2008 and specialized in interactive marketing and emailing. 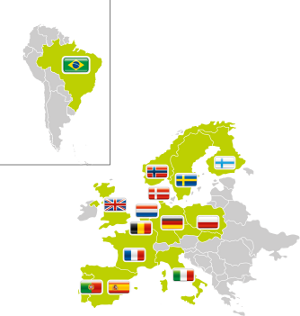 Operating in more than 15 countries, we assist our clients and work with agencies and advertisers thanks to innovative communication devices. Boosted by experienced workforce; our international team counts around a hundred of people operating in the fastest-growing sectors of Digital Marketing. SLIP Emailing Platform is a company which provides Email Marketing Services. We provide our clients with innovative routing software for their massive email campaigns. Our offices are based in Paris, Barcelona, ​​Rome and Warsaw, where we work in a young, dynamic and multicultural environment.